Take time to fully familiarise yourself with the safety aspects of the job you are doing and question any areas that are not completely clear. 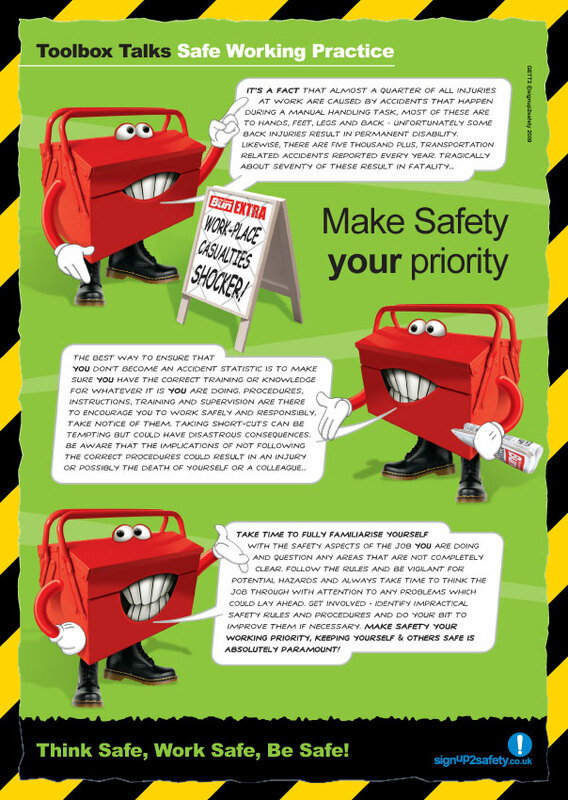 Follow the rules and be vigilant for potential hazards and always take time to think the job through with attention to any problems which could lay ahead. Get involved – Identify impractical safety rules and procedures and do your bit to improve them if necessary. Make safety your working priority, keeping yourself and others safe is absolutely paramount!